My immediate reaction to You Are My Favorite Song, even before I was half way through, was, ''I want a print copy of this book for my grandson." A children's book with a difference, this book comprises a stunning collection of the author's artworks. A digital copy just doesn't do the work justice. I want to pore over the images and examine the detail. I want to salivate over the colors and 'feel' the textures. The artwork is gorgeous and inspiring, but it is only part of the recipe for a book that shouts, 'Buy me for a child you love.' Felicia Jazmin has a powerful message for her readers. It's a message that, when absorbed, will set every child reader up for success and happiness. Felicia shouts to the reader that they are loved, wanted, special, unique. Felicia assures the reader that, like her favorite song, they bring joy and richness and beauty and excitement into the world. By paralleling the child reader with songs, Felicia fills the heart with a special kind of music - the music that all of us want to hear in our daily lives; the music that lights up little faces and lights up our lives. 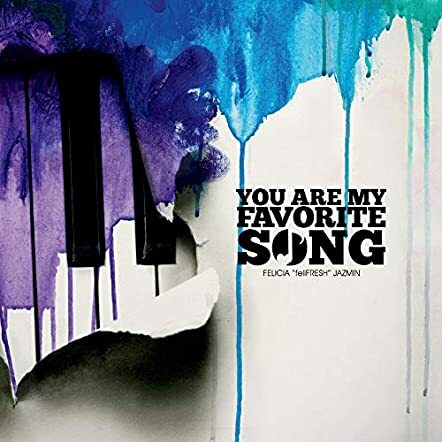 You Are My Favorite Song can be a quick read. It's a book of few words. But it's a book you will read and come back to again and again and again for the rich and joyous message it conveys and the exquisitely beautiful way in which the message is presented. Felicia 'feliFRESH' Jazmin is an artist and a musician, and her creativity shines. But she is more than an artist and a musician. She is a mentor, an inspiration, and a support when times are tough. She is love and hope and faith. I strongly suspect she is every bit as beautiful as her artwork, certainly on the inside. Her beautiful heart is evidenced on every page. I want a copy of this book for my grandson. I want him to soak up the beautiful and inspiring message it conveys. I suspect everyone who has a special and cherished child in their life and sees this book will want one for the child they love.